When Ryeford Engineering wanted to upgrade their old bending roll machine to a new model, Selmach rose to the challenge. 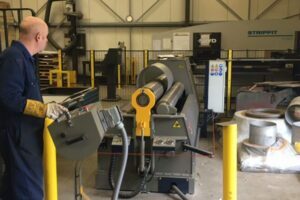 We spoke to Nick Reiger (Jr.) of Ryeford Engineering, a metal fabricating company based in Gloucestershire, about the company’s experience of purchasing their MG Roll Machine and the impact it had on their lead time. What made you choose Selmach? Ryeford Engineering was aware of Selmach so knew what they did. 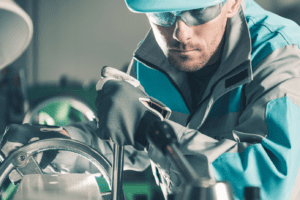 When they started looking for a new machine to replace their old one, Selmach showed them how a new machine could be programmed to do the specific job they needed. “Bruce showed us that it could be tailored to our specific needs and to produce our product”. You experienced a setback, what happened? 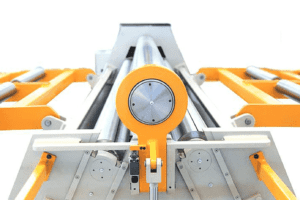 Initially, Ryeford Engineering purchased a Bending Roll machine but they soon discovered that the machine was not suitable for their purpose. Selmach replaced the Bending Roll machine with a new MG Roll machine, and Ryeford Engineering couldn’t be more pleased with it. 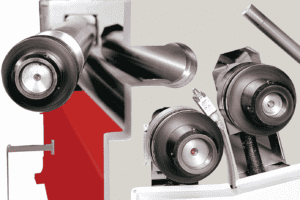 “The MG Roll machine works perfectly, and does exactly what we need it to do. We make Stainless Steel tubes with a flange on either end and they must be very precise and perfect”. Has the MG Roll machine met your challenge?